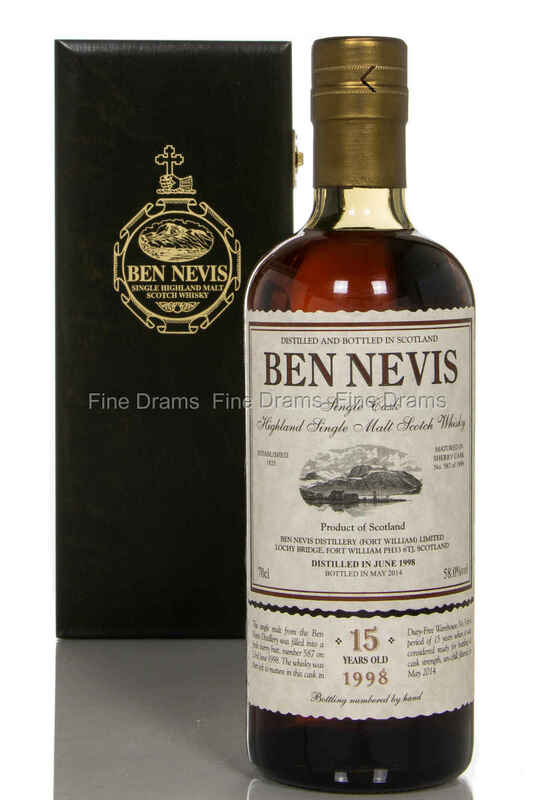 A 15 year old Ben Nevis from a single sherry cask, cask no. 587, bottled un-chill-filtered at cask strength, 58%. This single malt whisky was distilled on the 23rd of June, 1998 and bottled in May, 2014, producing an outturn of 629 bottles of delicious whisky. The bottle is presented in a handsome wooden box.